Chick-fil-A, one of the country’s most recognizable fast-food chains, was recently banned from the San Antonio International Airport by the San Antonio City Council due to the company’s reported opposition to the LGBTQ+ community. UTSA has a Chick-fil-A location in the John Peace Library on the main campus operating Monday-Saturday. According to a member of Spectrum, UTSA’s LGBTQ+ focus group, the organization plans to discuss whether UTSA should remove Chick-fil-A from campus. On March 21, the City Council voted to bring new eateries and retail shops to the San Antonio airport. The 6-4 vote came after District 1 Councilman, Robert Treviño, proposed an amendment to exclude Chick-fil-A from the list of planned retailers. The vote came a day after the news outlet Think Progress reported that newly released tax documents showed Chick-fil-A donated $1.8 million in 2017 to organizations that discriminate against the LGBTQ+ community. A spokeswoman for Chick-fil-A told NBC News the company wished they had been given the opportunity to clarify misconceptions about the fast-food chain before the vote. “We hope they [San Antonio City Council] will experience for themselves that Chick-fil-A embraces all people, regardless of race, gender, ethnicity, sexual orientation or gender identity,” the company spokeswoman said. 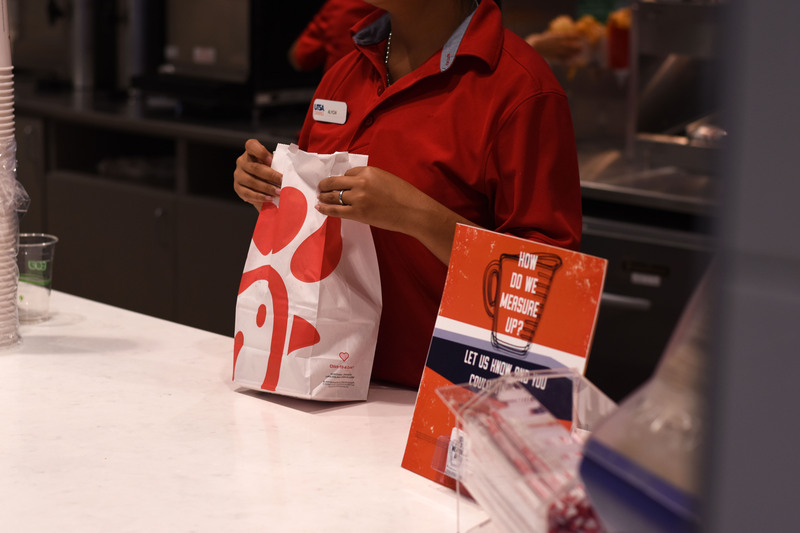 The Texas Attorney General Ken Paxton is investigating whether the city of San Antonio violated Chick-fil-A’s religious liberty when it excluded the fast-food chain from the list of approved airport food vendors. “The City of San Antonio’s decision to exclude Chick-fil-A based on the religious beliefs associated with the company and its owners is the opposite of tolerance. It’s discriminatory, and not only out of step with Texas values, but inconsistent with the Constitution and Texas law,” Paxton said in a tweet on March 28. Aramark, the vendor contracted to provide food service for UTSA campus, determines students’ preferences for dining on campus by routinely surveying students explained Karen Cutler, Aramark vice president of communications and public affairs. Additionally, they receive feedback from their Voice of the Consumer program. She stated that the Chick-fil-A on campus has not received negative feedback. According to Cutler, all of Aramark’s vendors and suppliers are required to follow a code of conduct to ensure they operate within the highest ethical standards. “[Aramark has] strict policies in place to maintain responsible business practices and social compliance at our vendor locations across the globe,” Cutler said. President Taylor Eighmy sent an email to the UTSA community on Feb. 27 announcing the launch of the President’s Initiative on Inclusive Excellence. According to the initiative brief on inclusive excellence, found on UTSA’s Strategic Plan web page, the initiative provides a framework for the university’s commitment to become a more inclusive campus. Cutler stated that Aramark respects the diverse backgrounds, cultures and beliefs of their customers and employees. “The management and employees at the Chick-fil-A locations that we operate fully adhere to the diversity and inclusion principles specified by Aramark and those specified by our university partners,” Cutler said. Some students believe having Chick-fil-A on campus does not reflect UTSA’s initiative and policies on inclusivity and diversity. “Chick-fil-A has been shown to support discriminatory practices and bigotry against LGBTQ+ people. If the SA airport is too good for that, then I feel like our school should be too,” Xenia Flowers, a senior classics and humanities major, said. Tom Avila, a sophomore history major, agreed. “UTSA always tried its best to be a great inclusive space for all students and the removal would be a really great step in moving forward to that,” Avila said. 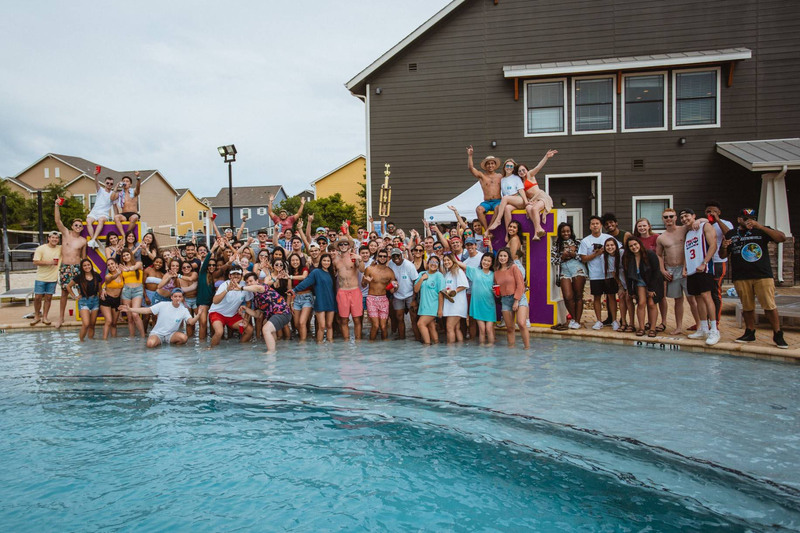 Other students believe the controversy surrounding Chick-fil-A will not affect its popularity and the business should remain on campus. “There’s people on campus who support [anti-LGBTQ+ groups] and we don’t judge, so it doesn’t seem fair if Chick-fil-A was removed, especially if that’s a place a lot of people go to,” Albert Flores, a senior communication major, said. “If you don’t want money going to certain causes, don’t eat [at Chick-fil-A], but don’t take Chick-fil-A away from students that want to patronage it,” Jose Moncada, a senior accounting major, said. Efforts to reach President Taylor Eighmy and Myron Anderson, vice president for inclusive excellence, for a comment were unsuccessful.